Home » computer » Is Your Computer Webcam spying on you? let's fnd out! Is Your Computer Webcam spying on you? let's fnd out! Recently Many shocking News revealed this secret which is creating RED Alert for Every Internet Civilians. In United States of America, an FBI Agent exposed his own secret. He Said He Was able to spy on people secretly! YES without turning on those white/blue signal lights which is normally near by a webcam. In every computing device there is a tiny indicator light near by webcam. it is a hardware feature. which will automatically start that white/blue light when the webcam is accessed by a user. but this just a Myth now Researchers have proved that even Mac users can be Covered under a Cyber surveillance program ! Recently A victim from America said that her webcam was spying her activities without turning of Indicator lights on her Camera! she is a Teen Girl in USA and she thinks that Cyber Crime awareness must be spread everywhere. (You can spread awareness by sharing this article now). Cyber Security also found that there were able to access the webcam even it was disabled on a particular Operating System Settings. if you are a Desktop user you are lucky enough to unplug those stuffs. you can get back your privacy by just unplugging webcam from your system. But Net book users will find a bit difficult to disable those Stealth cyber drones. here is the simple solution. Use a tape over your webcam and hide your camera when i say it take it seriously because researchers have proven that a virus can disable indicator functionality on windows as well as Mac Operating system. Thus it can work on almost every os! even on Linux/Ubuntu! "sudo sh -c "echo 0 > /sys/devices/pci0000:00/0000:00:1d.7/usb1/bConfigurationValue""
On Mac OS there is the same type of stuffs called "iSeeYou" which can control LED lights of your webcam! Most of people says that you should use a good anti virus but trust me there are lots of tools out there which can defeat anti virus easily. 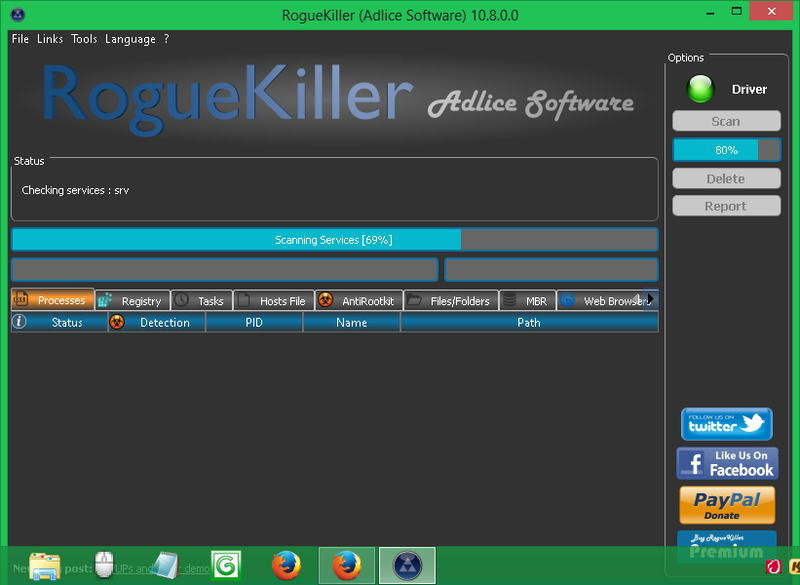 you should try security tools like RogueKiller. You have to just run it and hit 3 clicks to scan it will identify every suspicious files. browser will automatically open if they found any file that might be effected by a virus. you can search those file names on google and then remove it. Disconnect your internet cable if you are working offline. Put a black tap on your Webcam to hide it. Disabling Webcam from BIOS Settings might help you. Disconnect Webcam if you are a desktop user. Another Webcam Cover for Laptops/Pad Devices which is kinda cool too. Anyways i hope you enjoyed the article. make sure you check out our previous recommended articles which are shown down below and also share this article with close people.